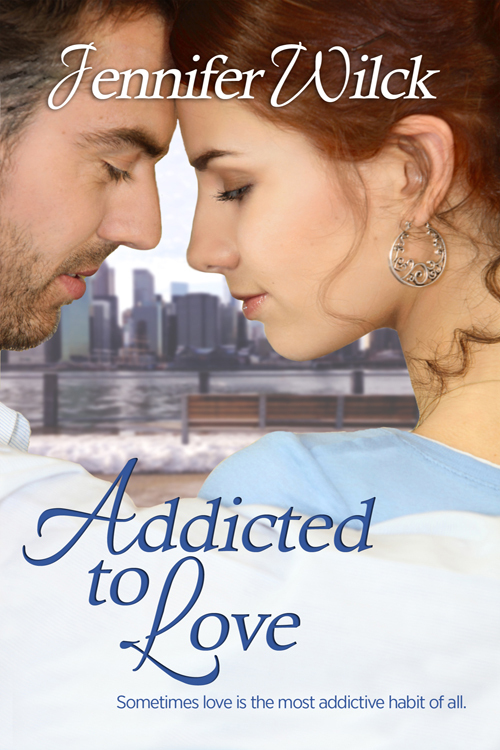 Today's guest is Jennifer Wilck, who's interviewing Dan Rothberg, her hero from ADDICTED TO LOVE, her latest release from The Wild Rose Press. Let's find out what makes Dan such an interesting character. Take it away Jennifer! Well, I’m a single dad with a teenaged daughter. We live in Hoboken, NJ and I work as a forensic accountant. [laughs] They are, that’s true. But eye rolls aside, we have a pretty good relationship. It’s been just the two of us for about eight years now, ever since my wife died. I did. Her name is Hannah and she lives nearby with her grandmother. We met at a concert—actually, she met Tess first. And despite my concerns about being able to take care of Tess and work and date, it seems to be working out so far. [He bristles] No, but she still needs me. And the last time I put something ahead of her, well, it went really badly. I won’t do anything to risk her well-being. [His shoulders loosen] I try. And she and Hannah get along great, which makes things easier. Our first date or our first official one? Well, we ran into each other, literally, at a hot dog stand. After holding up the line and doing an impromptu awkward dance, we sat and ate together. I liked her. She made me laugh. But I didn’t get her phone number. So when I decided I should ask her out, I had to Google her. Luckily, I knew enough about where she worked to find her and she agreed to go out with me. So our official date was lunch at a great restaurant where we talked and got to know each other. And even though I’m woefully out of practice with women, she didn’t seem to mind my awkwardness and we’ve been seeing each other ever since. [His blue eyes sparkle] You mean, other than everything? She’s smart—she works in PR and is gunning for a promotion, which I’m sure she’ll get. She’s beautiful—auburn hair, blue eyes. And she’s funny. She makes me laugh and she’s teaching me not to take things so seriously. She’s in her late twenties, so she’s about ten years younger than I am, but it’s been so long since I’ve had an adult to share things with. I love talking to her and getting her perspective on things, and I love how she values my opinions and confides in me. Did I mention how great she is with Tess? Taking on a teenager isn’t for everyone, but she seems to just get her and includes her seamlessly whenever possible. I haven’t been able to be completely honest with her. Because I’m afraid if I tell her about my past, she’ll leave. [He draws a deep breath, holds it, and lets it out slowly] The car accident that killed my wife injured me. [Points to his cane] I was addicted to painkillers for a time, until I saw how I was putting Tess at risk. I broke my habit, but I’m afraid to tell her about it. Her brother is a drug addict. I’d like to say it’s with her. I just don’t know if she’ll have me once she knows the truth. Her nostrils flared and she bit her lip, and Dan realized she was trying not to laugh. Now he really wanted to kiss her, to capture her mouth with his, to make her his own. Before he could act on it, his stomach growled. “Was that yours or mine?” She looked over at him, eyebrow raised. His lips twitched. His breath hitched. He couldn’t keep his amusement to himself any longer. It bubbled in his chest and he let it out as he shook his head.